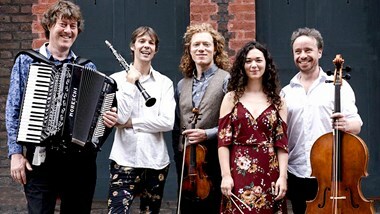 Brahms and the Gypsy: a re-imagination of the Brahms Clarinet Quintet to embrace a santouri (cimbalom) and accordion and interleaved with the high-energy klezmer and gypsy music that deeply inspired it. In Partnership with Hertfordshire Festival of Music. 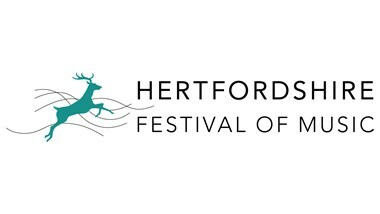 The Hertfordshire Festival of Music is an annual summer celebration of classical music, based in the historic and attractive county town of Hertford during the long, warm days of midsummer. ZRI stands for ‘Zum Roten Igel’ – the ‘Red Hedgehog Tavern’ – a 19th century Viennese hub of socialising, beer-drinking, and of music. Both Brahms and Schubert went there to hear gypsy musicians play, and their influence found its way into their writing, most closely in the Brahms Clarinet Quintet and the Schubert C Major Quintet. The band ZRI have re-scored both master works to bring them into a folk and gypsy soundworld, interweaving Klezmer and gypsy melodies into the original fabric of the score.